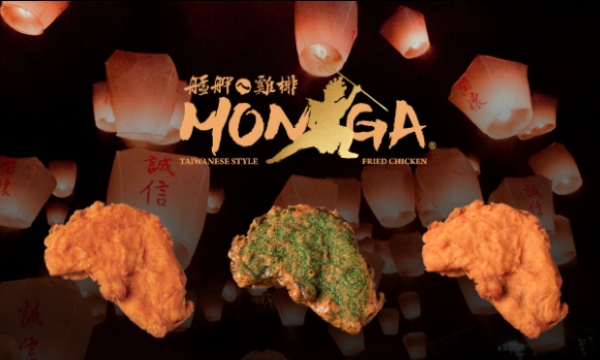 Londoners now have another option for fried chicken, following the opening of Taiwanese restaurant chain Monga Fried Chicken in 12 Macclesfield St. The chain is primarily known for their their chicken's extra crispy exterior, achieved through marinating chicken breast in honey, before being dipped in batter instead of dry flour, then fried. The fry is subsequently served with five flavour options, including plain, sprinkled with a spicy dry rub, and seaweed. The fried chicken chain also has outlets in Canada and in the United States.